Can’t be more pleased to get such a wonderful review! Thank you so much at BooksandMe. So delighted to have be handed this incredible review when I walked through the door of where I’m staying! Can’t wait for tomorrow’s event (23rd September) in Victory Hall Benderloch at 2pm. If you know anyone who lives near by then please do tag or share it to them. I’m just overjoyed by this review of Finding Joy! Thank you so much. You’ve captured so much of what I hoped to achieve by writing Finding Joy and I adore that Dog is categorised in your character section and your reference to IIM! Thank you so much Fiona for your beautiful review of my talk. Review by Mavis MacDonald – owner of Nairn Bookshop. 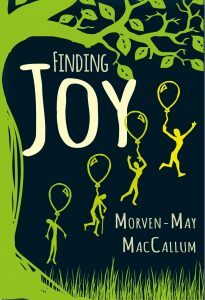 Book Review For Finding Joy! What a delight to have my novel read by Sue from Books From Dusk Till Dawn! Thank you so much Sue for writing such a beautiful and insightful review – you captured everything I hoped to achieve by writing Finding Joy. I’m really pleased that you enjoyed reading Finding Joy. Read Sue’s review and explore her briliantwebsite by clicking here. Thank you very much Laura for taking the time to read my novel and for letting me post your review on my website – I’m delighted that you enjoyed reading Finding Joy. I’m always overjoyed to hear what people think of my work and reviews are such a great help to encourage other people to read Finding Joy and to learn about Lyme disease. Review by Laura: ‘Well done! I have just spent all day reading your book and just wanted to say really well done. I highlighted lot’s of things which mirrored our families experience of Lyme. I spoke to you last year at Belladrum as my daughter had had and recovered from Lyme Disease. You give a great hug! Thank you so much Drew for writting such a kind and beautiful review of the talk I did for the Highland Lit – I was so delighted to be invited to the event. The HighlandLit was delighted to welcome Morven-May MacCallum to our monthly author event at the Glen Mhor Hotel the evening of July 19, 2017. 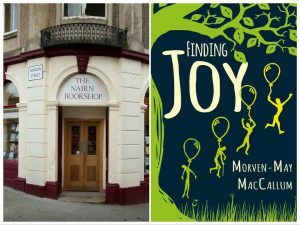 Morven-May spoke to a packed room about her recently published novel Finding Joy, in which she describes the experiences of a young woman who has Lyme disease. 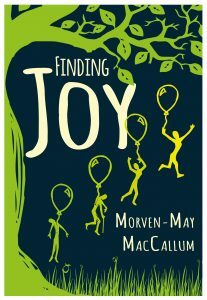 Charting the background to writing Finding Joy, Morven-May enthralled the audience with insights of how she drew upon her own experience of the disease, vividly detailing its debilitating effects and her long struggle to get the correct diagnosis and appropriate treatment. It is, she told us, a vicious and ‘intelligent’ disease which plays to a given individual’s physical area of particular weaknesses or vulnerability. Thus, Morven-May is determined to do everything she can to raise awareness of the seemingly innocuous yet pesky tick, the devastation it causes, the need for far greater education as to its dangers and the need for significant research funding going forward. Essentially, Morven-May emphasised how she has always written; it is, she told us, ‘something she has to do’. Hence, it was natural that – when still too weak to leave the house – she began communicating the facts about Lyme disease by writing her novel. Morven-May comes across as a quietly confident, courageous and resilient young woman, and it was our privilege to meet her last night and hear her captivating story. Always the campaigner, taking every opportunity to speak out about Lyme disease, Morven-May answered questions from the floor with thoughtfulness and patience, and stayed behind afterward to sign copies of Finding Joy and engage further with folks. Also present at the Glen Mhor lending his support was Morven-May’s grandfather, the redoubtable George W. Macpherson, author and one of the last Seannachies in Scotland. Clearly then, storytelling and the wise wielding of words runs in the family. 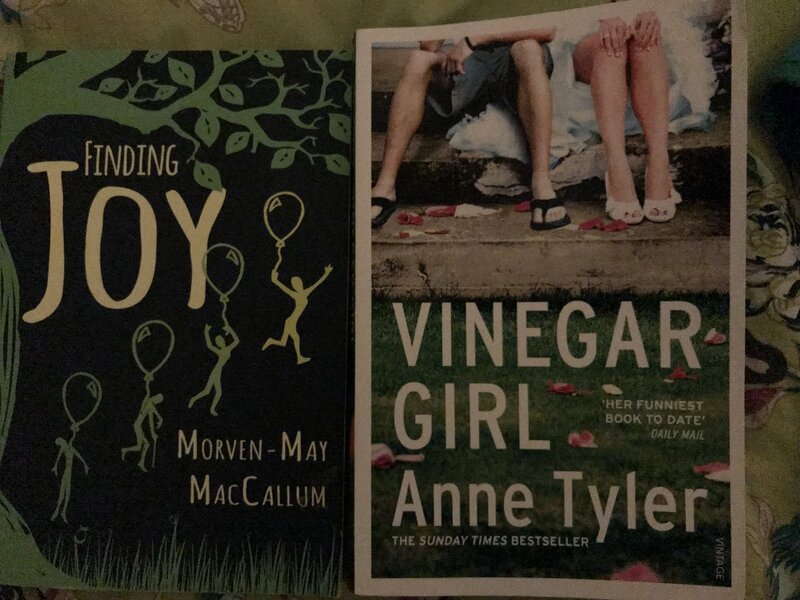 And although Morven-May – by her own admission – has been busily devoting so much of her time and energy recently spreading the word about Lyme to devote much time to writing, she is she assures us brimming with ideas for future literary pursuits. In which case, HighlandLit would have no hesitation in welcoming Morven-May on a return visit. Watch this space!